The Chinese Room is scaling up production as the developer has said that it wants to double the size of its studio by the end of this year, in order to create new, original titles. In the past three months, the U.K. studio has hired 17 new developers. Some notable inclusions are the new art director John McCormack (Fable III) and lead artist Ben Matthews (Trailblazers), a technical director Nick Slaven (Magic: The Gathering: Duels of the Planewalkers and Carmageddon: Reincarnation), a lead designer Rob McLachlan (Silent Hill: Origins), and Tim Turner, a senior character artist who has worked on Kinect Sports Rivals and Runescape. “We’re hard at work on a great new game and it’s fantastic to have brought together such an amazing bunch of talented developers to help realize it,” said Dan Pinchbeck, The Chinese Room co-founder and creative director, on the Sumo Digital website. The Chinese Room was previously acquired in August 2018 by Sumo Digital, the studio behind LittleBigPlanet 3, Team Sonic Racing, and Snake Pass. The Chinese Room is known for its narratively-charged games and walking experiences (otherwise known as walking simulators). The company began with Dear Esther, which was one of the first breakthrough titles of its genre. It focused more on the story than the gameplay, to the annoyance of some who played it. It then made a sequel in the Amnesia series with A Machine for Pigs, a horror title with the same premise; to explore the world around you and take in a narrative without much interactive gameplay. 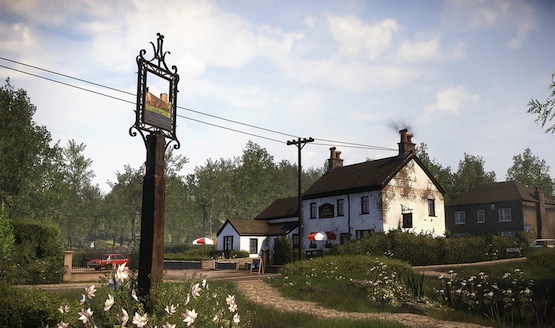 Everybody’s Gone to the Rapture, published by Sony, was their third entry with a more expansive world and a mystery to unfold in the village of Yaughton. The Chinese Room is now working on multiple projects as the studio expands its workforce.